Maggie and Kate Fox were real celebrities in the mid-1800s, sisters said to have an ability to communicate with the dead. Salerni brings the séance culture vividly to life without ever pretending that the mediums believed in their own "ghost rapping." Maggie, the older sister, reveals in the opening pages that her spiritualism is deception and humbug and prank. An occasional chapter is written by Kate, who believes that she can truly communicate with the dead, even if the actual rapping comes from trickery. Egged on by an older sister, the girls find they enjoy the perks of their fame, and Maggie in particular is pleased to reassure grieving patrons that their loved ones are at peace. Despite the seeming focus on the supernatural, the novel offers much historical context and several richly developed subplots, most notably the romance between Maggie Fox and Elisha Kane. Kane was a renowned explorer, and his funeral was second in size only to that of Abraham Lincoln's. FIRST LINE: "I began the deception when I was too young to know right from wrong." Donnelly melds contemporary teen drama with well-researched historical fiction and a dollop of time travel for a hefty read. Andi Alpers is popping antidepressants and flunking out of her Brooklyn prep school, grieving over her younger brother's death. She finds solace only when playing guitar. When the school notifies her mostly absent scientist father that she's flirting with expulsion, he takes Andi to Paris for Christmas break, where he's testing DNA to see if a preserved heart really belonged to the doomed son of Louis XVI and Marie Antoinette. Andi is ordered to work on her senior thesis about a (fictional) French composer. Bunking at the home of a renowned historian, Andi finds a diary that relates the last days of Alexandrine, companion to (you guessed it) the doomed prince. The story then alternates between Andi's suicidal urges and Alexandrine's efforts to save the prince. FIRST LINES: Those who can, do. Those who can't, deejay. Side note: Courtney is my agent-sister and she let me read the first book in the (3 book) series. LOVE! It's debuts in February. FIRST LINE: I stared out the classroom window and longed for freedom, wanting to be anywhere in the world other than gaping up at my economics teacher like the rest of my classmates. I've only read We Hear the Dead but I've been curious of the others so they're making my christmas list for sure!! I'm SO getting Anna and the French Kiss next week!! Woohoo!! I have a long time love affair with historical fiction, so I'm glad to see it popping up in YA. I'll check these three out for sure. 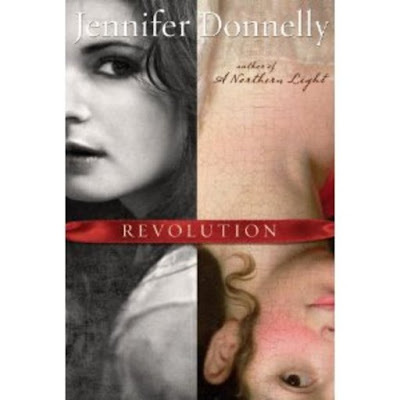 I've been wanting to read Revolution since I first heard about it, but the other two were new to me. Yeah! I'm reading Nightshade City, which I totally love! I love that you include the first lines in your reviews. I'm reading The Navel of the World by PJ Hoover! 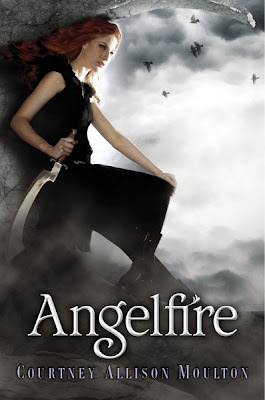 Angelfire sounds very interesting!! I'll keep an eye out for it, though I'm still having trouble finding time to read. Can you believe I'm still working through the last book of the Millenium trilogy?! Wow, I need to read all of these! They sound amazing. Have such a good time reading Anna and the French Kiss--one of my favorites of the year! I am excited to read Revolution and I will be adding We Hear the Dead to my list. Ah, I've been wanting to read We Hear the Dead! I just keep forgetting to pick it up! I just finished Behemoth by Scott Westerfeld and loved it. Think I liked it better than Leviathan! I normally don't like anything having to do with the supernatural, so I probably wouldn't like the third one, but the first two sound great! Thanks for doing all this research! I will just send your blog address to my friends for my Christmas Wish List. Oooh! I want to read these with my daughter! 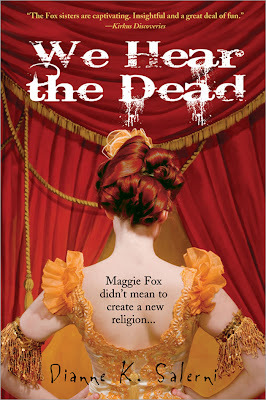 Just the cover of We Hear The Dead is enough to make me want it - I love it! Thanks for pointing these out, they look really good! I love building on my 'to be read' list based upon your recommendations. These all sound great!